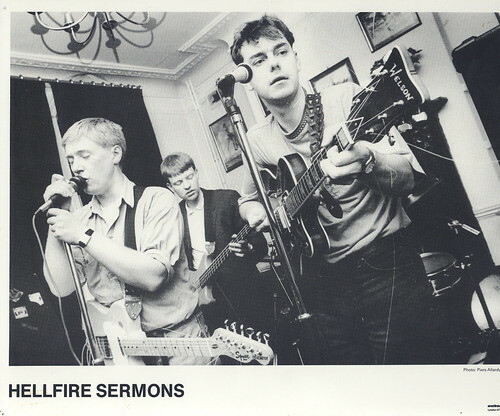 Hellfire Sermons, originally uploaded by unpop. Here’s another Esurient live show. This one is Hellfire Sermons, 23rd March 1990. Sorry, I think that fie was deleted some years ago in a re-organisation… Frustratingly I cannot find the original ZIP fie on my own system at home so have put out a request amongst friends to see if any of them downloaded it! Fingers crossed! Always good to hear of a Hellfire Sermons fan, however. They were a criminally ignored group and frustratingly seem to continue to be so. Why they have not appeared on any of those hefty Cherry Red C89 etc reissue box sets is beyond me. Link to the recording is now active again!